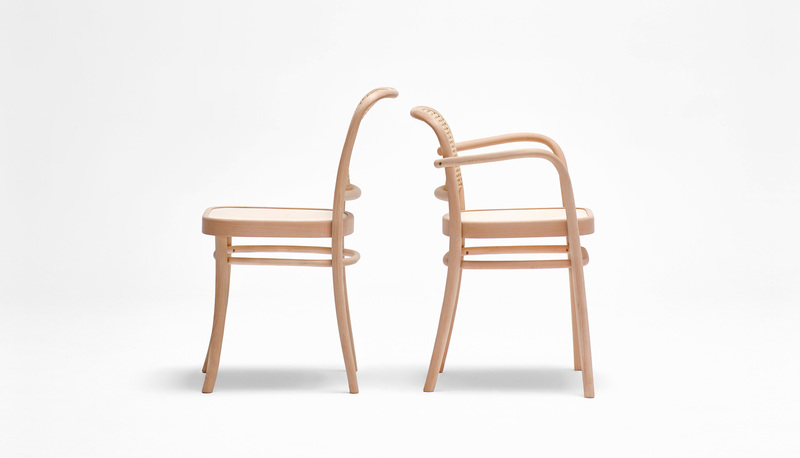 A family of bent chairs with a visual language of the Thonet world. 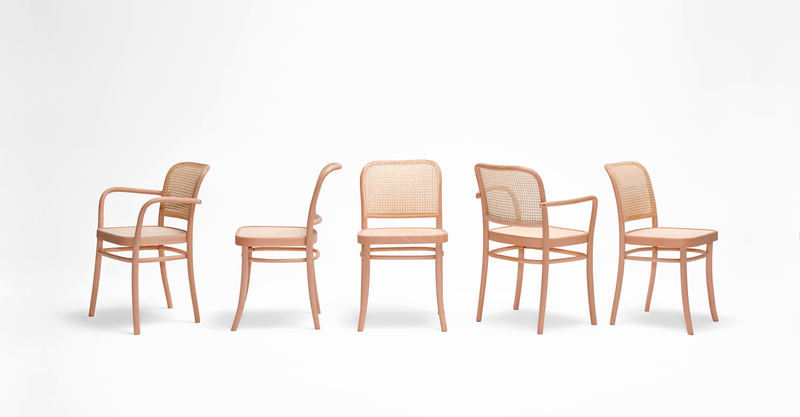 Benko is the first contract model entirely designed for bentwood since 150 years. 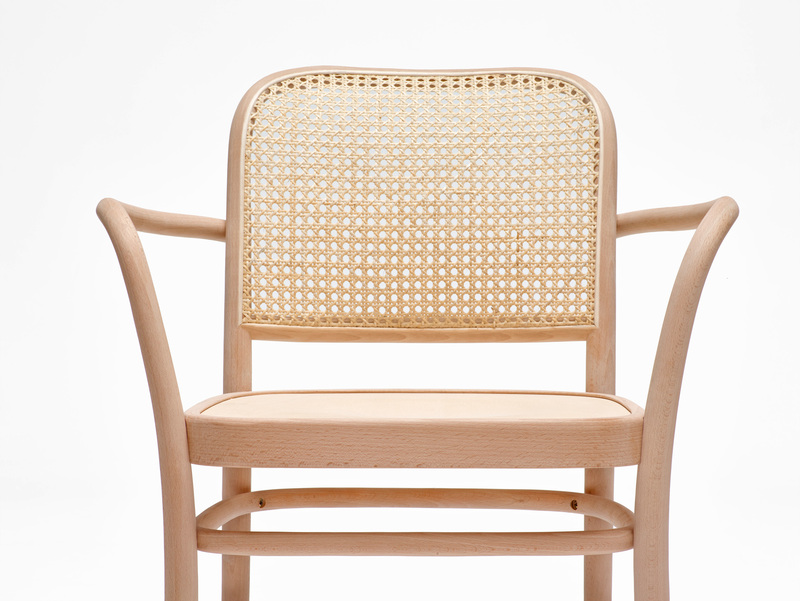 The family is characterised by a disciplined form relating to traditional bentwood furniture. The collection has a strong character thanks to its originally shaped armrests whose soft lines provide a touch of feminine expression. 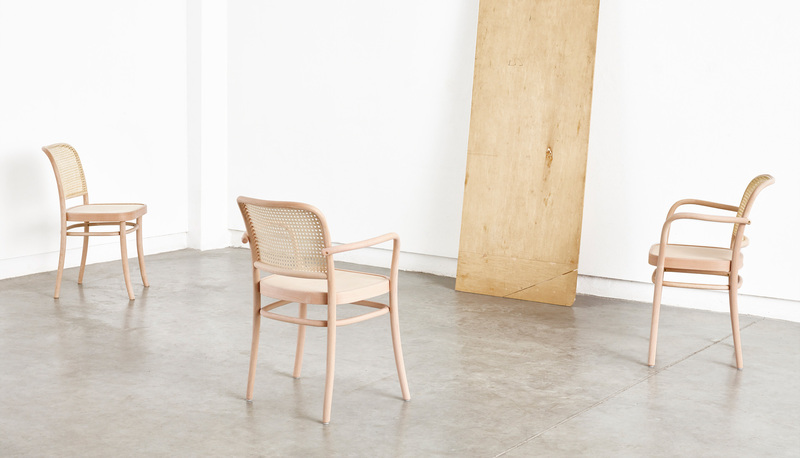 The seat and backrest are filled with hand-made pleat. This way the non obviously contemporary design of the furniture combines two unique and vanishing technologies. 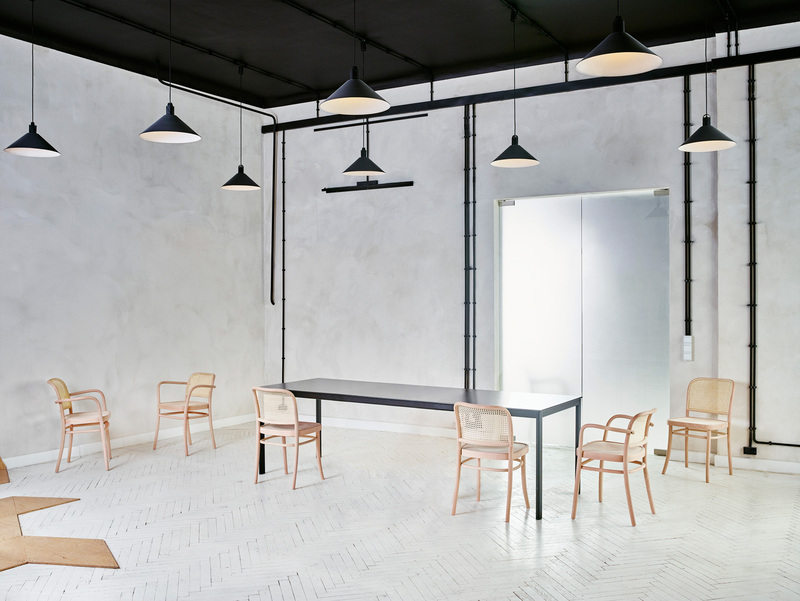 The Benko family covers an armchair and a chair with and without armrests, intended for cafés and restaurants, according to Thonet’s tradition.